I've been using the Tempera theme for WordPress quite a bit lately. It has many features that can be turned on or off using the built-in customizing system. You can turn the slider on and off and create a special front-page that can display posts from only specific categories or tag groups as well as a general welcome message if you like. It's worth taking a look at and the colors are all completely customizable from the interface without having to edit the CSS files directly. Looks impressive. Think I like it. hello i have found a website where you can get all premium themes without any charges just go there and grab you dream theme, not only for wordpress they provide joomla, oscommerce, drupal, megento themes. if you want a free so I'll go with "Twenty 12". Why do you think "Jarida" and Sahifa" are good? And "Twenty 12"? (05-15-2014, 07:23 PM)Genesis Wrote: Why do you think "Jarida" and Sahifa" are good? And "Twenty 12"? because of there cool and responsive design and theme features. It is straight forward to set up. It a full-width page template, also takes advantage of sticky posts for showcasing a business’ services. I actually like the default theme also because it is so spare and clean. I've looked through all of the 600 or so free themes and can classify them into several bins: dark, colorful, blocky, simple, and weird. I found a couple of dozen that are simple but each has one or more flaws that make it unsuitable. A did find a few, for-pay themes that look quite professional, and are understated (and not too formal). I've been working with Customizr for a while as find it compatible with quite a number of plug-ins. I find that when one plans to use plug-ins, one should be sure that the theme is compatible with most plug-ins, and getting the fancy themes may have potential conflicts with plug-ins. Customizr is responsive as well. So works for me. I like the default myself. Easiest to use too. I like all themes listed on ThemeForest catalog. I don't prefer Rocket Themes and other developers themes. I found some freelancers who are selling customized versions of our favorite WP theme at cheaper price. Still I have no experience with it. Bookcard is my favorite wordpress theme. This is very useful for personal websites. If anyone going to build personal website or online resume, this theme will be very helpful. Theme available in theme forest site. This is my one of the favorite theme of wordpress! Why is it your favourite theme? 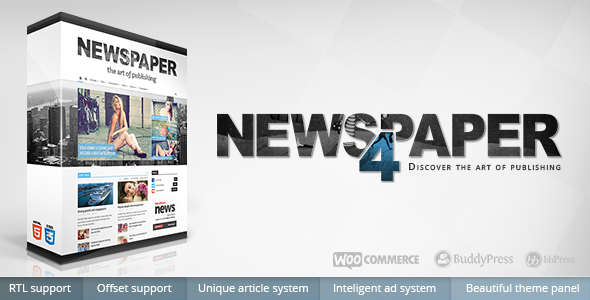 Quote: Newspaper is a WordPress theme that lets you write articles and blog posts with ease. They offer great support and friendly help! The Newspaper template is excellent for a news, newspaper, magazine, publishing or review site. It also supports videos from YouTube and features a rating system. The theme is integrated with bbPress Forum, BuddyPress, Buddy Press, and WooCommerce. It uses the best clean SEO practices, and on top of that, it’s fast, simple, and easy to use. In addition, Newspaper supports responsive Google Ads and AdSense. Copy paste. When you copy from an article you need to give credit to its source by quoting the material and providing the link where you took it from. For at least ten years, I've been looking for a suitable (free) Wordpress theme for a simple, text-heavy personal blog. I've looked at (at the very least) some five thousand themes and have seen about two dozen I didn't absolutely hate. None of these were actually practical for my purpose. I'm coming to the conclusion that this situation is actually getting a lot worse as themes are getting to be designed mainly for mobile use, so they look pretty bad -- if legible -- on a smartphone, but downright hideous on a computer monitor. Never mind that 16:9 monitors are pretty nasty platforms for a blog anyway. It may be that what I want is literally impossible, as simple as it seems to be to me. It seems that the personal blog has gone the way of the dodo and Wordpress themes are now mainly about commercial sites. Nobody really cares about tasteful blog themes anymore, it seems to me. I do know that simple themes seem to be shunned and disparaged by designers on the big Wordpress forums, who seem to be heavily into competitive geekery. There's also the possibility that I don't understand that there are a lot of optional tweaks that could save a theme by making it more suitable, if I knew how to do them. (03-05-2015, 04:32 AM)Anomie Wrote: Well, none so far. Try Vantage and try Responsive. Unfortunately useless for my purposes, unless they could be very extensively modified. I could handle the default themes if there was some way to eliminate the body of the bogroll posts on the index page and just have a list of one-line dated descriptions, each linked to a separate internal page or another site. Seems simple and functional, but I've never seen anything like that...ever. (03-06-2015, 05:12 AM)Anomie Wrote: Unfortunately useless for my purposes, unless they could be very extensively modified. In this case, what I'd functionally really like is a home/index page with a simple one- or two-column blog format with a header, perhaps a sidebar and a compact list of posts by title/date only. Seems incredibly simple and obvious, but I've never seen one yet. It really seems to me like the people who design themes just haven't the slightest idea how a blog is actually supposed to work. Seriously! Have you checked out Google Blogger? I'am quite happy using "Vantage Theme" and "Site Origin Page Builder" Plugin. This combination is easy costumization enough to create various kind of website. (03-16-2015, 12:06 PM)pan1 Wrote: I'am quite happy using "Vantage Theme" and "Site Origin Page Builder" Plugin. This combination is easy costumization enough to create various kind of website. This might be the theme I was looking for, for this website I was having trouble building a theme for. I am going to take a look at this. thanks for mentioned it @pan1!!! Really like the template of your blog. If I may ask, what is it?